First, I was busy finishing the Doom Metal Lexicanum book, and then I put the weight of the “Lexicanum II” project on my shoulders, but blood calls for revenge! And I have some obligations, so here are four overviews of doom albums you may have missed at the end of 2017. Blood On Satan’s Claw is the second Alastor EP for 2017, and actually I wonder why they didn’t release one full-length album instead. This time the Swedish quartet prepared two ten-minute tracks with a deep psychedelic touch and pop-occult lyrics. The record surpasses its predecessor, Blood Magic, with more effective songwriting and delivery, though the production is on the same underground level. The vocals on these new songs sound different. Actually I was thinking that Alastor had recruited a lady on vocals, but I was wrong. It’s still their bass-player, R, who sings. The title song is an amazing psychedelic doom trip despite that trivial movie-influenced title which was previously used by at least two other bands. The elements of this composition aren’t new, but they’re efficiently entwined all together. The second song “Bad Moon Rising” is a cover of a song by he ’70s band Creedence Clearwater Revival, and Alastor’s version is damn far from the original 02:18-long, cheerful tune, as they play it 5 times slower and 50 times darker. Both compositions are delivered in the same mesmerizing vein, full of distorted electric sound, sleepy tempos, and excellent inspiring solos. The record strongly reminds me of the best of Windhand, both in effectiveness and quality of performance. And though there are only two songs, both of them work well. This band is remarkable, not just another doom band with “black” in their name. They are based on Sardinia, quite a unique place in itself, and there are two ladies in this trio. Virginia and Rakela perform as the rhythm section, and Kjxu (okay, his real name is Fabrizio) plays guitars and sings. For almost ten years Black Capricorn have played thick psychedelic doom metal, and on their latest album Omega they still rely on riff-based, pretty monotonous, quite hypnotic sound. This is a massive double-album, both CDs with a running time of 46 minutes, and I would say that the material is homogenous. You’ll find a diverse approach on some tracks, but usually it’s really slow, massive doom with proper clean chants. There’re tracks which catch the listener’s attention easily, like the deep and hallucinogenic “Accabadora” or ritualistic stuff like “Evil Horde Of Lucifer”, with nice rocking vocals but overwhelmingly oppressive riffs. The brief intro “Alpha” has traces of Dark Italian Sound straight from the ’80s with its ominous organ part, but it’s just damn short. “Antartide” starts with a cold and gloomy acoustic intro, and this composition takes you into a 17-minute-long pilgrimage into the dead realms of winter. It has some cool turns, but the largest part of it is buzzing to the verge of drone’s lowest-of-low guitar. Well, there are 11 tracks on these two CDs: Sometimes I was really excited with the tracks the band produced, and sometimes the monotonous recycling riffs just made me struggle with heavy slumber. 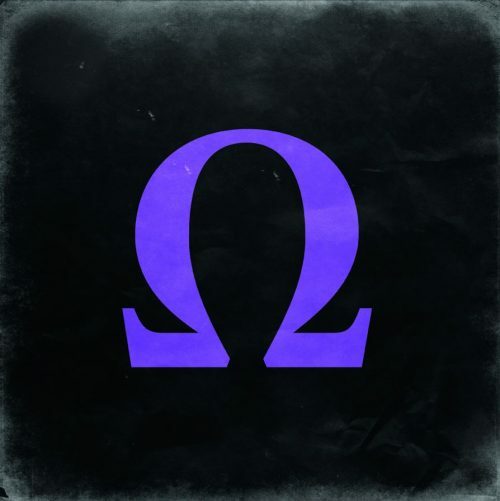 For me Omega lacks sufficient melodies, but if you dig the slowest stuff from Windhand or the most stoned of Electric Wizard‘s material then you can find a meditative essence in this monotone work. Seven years ago I was absolutely excited when discovering Hooded Priest‘s debut, Devil’s Worship Reckoning. That was a grand band of musicians from different outfits playing originally different stuff but united by the Doom Cult creed. Traditional doom with a good share of tempo switches, remarkable tunes, and Luther Veldmark’s theatrical vocals drew my attention, and afterward I was left waiting impatiently for the new album. 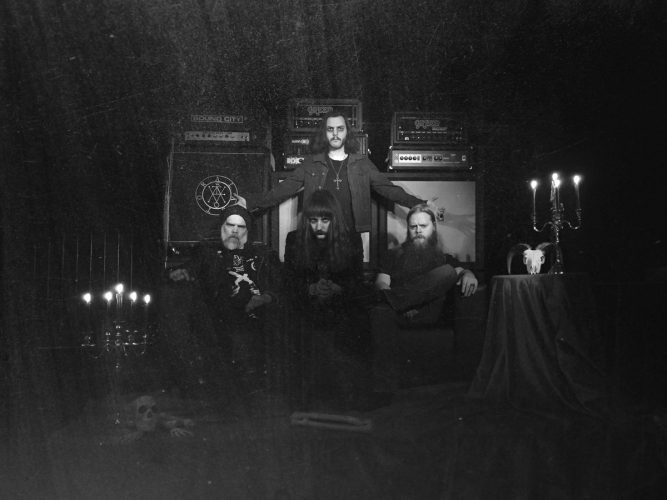 Guitarist Joe Mazurewicz was busy recording with Urfaust; Luther joined the Chilean band King Heavy and even toured with them, and drummer Quornelius Backus recorded albums with the heavy doom act The Spirit Cabinet and the black metal outfit Sator Malus. Everyone was busy! 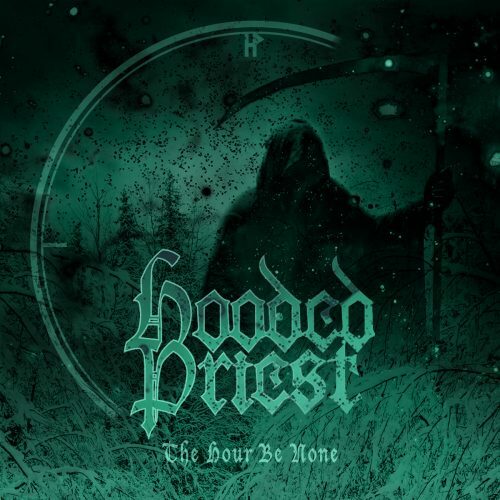 Only in 2016 did Hooded Priest return with three new songs on the EP These Skies Must Break, and two of those songs were later added to the second full-length work, The Hour Be None. Well, with this new one Hooded Priest recorded an essential doom metal album. They put there all the slow and low they could find, so that the final result would please the most die-hard followers of the Doom Cult. The trio from Dallas spent four years on songwriting and perfecting the instrumental aspects of their fourth album. The band is known for a hard-boiled mix of epic doom with thrash metal. This time Elliott’s Keep more often took to faster and more aggressive parts, though the material has even more traditional doom parts than before. They certainly won the strife for the balance between the slower doom riffs and the faster thrash tempo in the new songs. The mix of elements varies from song to song, but the recipe together is still fully original and organic. On many of the songs, the lyrics were written ahead of the music, so they chose for each song those musical elements that the lyrical elements required — doom riffs, chord progressions, faster parts or leads — depending on what they found right in each situation. Thus, “Banished to Shadow” is pure epic doom, although you’ll find in it the other styles that Elliott’s Keep practice. “Ninestane Rig” has classic and epic style doom riffs. “Tempest” starts out with the most prog-metal stuff the band have ever done, but then falls into pure doom for minutes at a time. There’s even an atmospheric acoustic part in “Reflection”, but in general they skillfully combine doom and thrash tunes, and changes in tempo signature play a big part in their compositions. Every song is strong on its own merits, and then it all blends together to make a complete album. 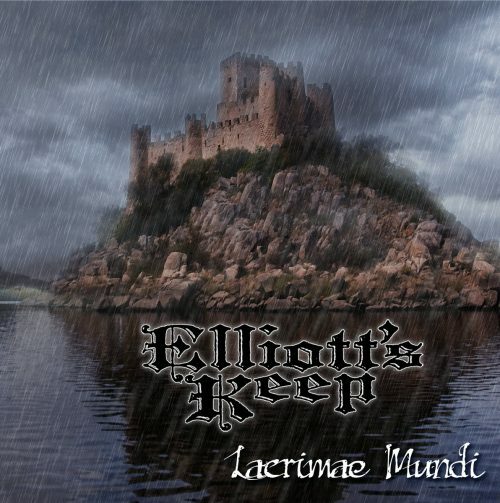 Without doubt Lacrimae Mundi is the best album in the discography of Elliott’s Keep.